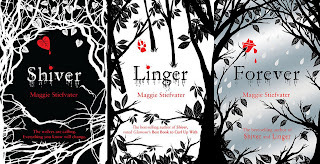 I'm a big fan of Maggie Stiefvater. I think she's hugely creative and interesting. I love how she's been involved in music and art as well as writing really wonderful YA books. 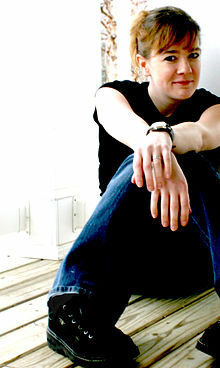 She's also incredibly funny and does off-the-wall things like race cars and adopting fainting goats. I've been really lucky to meet her twice - once a few years ago at the Bath Children's Literary Festival, in which she signed some books for me after an event she did with Jennifer Lynn Barnes - and the second, recently, at an intimate tea with a handful of other bloggers and the lovely Kate from Scholastic. It was after this tea with Maggie that this feature began to form in my head. I have an entire stack now of signed Maggie Stiefvater books that I will treasure. And they will remain permanent features of my bookshelves now and always. What I love the most about this series is how emotional I became when reading it. Sam and Grace transform from fictional characters on a page into fully-fleshed people in my head. I was in agony for them hoping for good things to happen. The sweetness of their relationship just really broke my heart. And in Shiver especially, I loved how much the weather plays such a huge role. It felt like a character in itself and it really ramped up the tension as this deadline loomed over the two main characters. I put off reading Lament for a long time. Traditionally, I've never gotten along well with books involving fae creatures. I find them creepy and cold and I find myself unable to connect emotionally to any story involving fairies. Then I read the Iron Fey series by Julie Kagawa and realised that it possibly isn't about the fairies themselves but the way in which they are written. 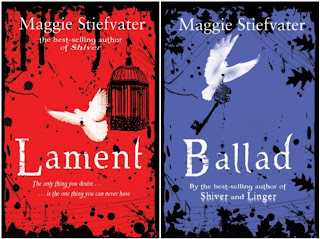 And because I trust Maggie's writing, I went out and bought Lament. And I loved it. Not in the overwhelming way in which I fell for Shiver or The Scorpio Races, but I still loved it. I loved the way in which music is encorporated into the storyline and I really liked the complicated friendships and relationships. I've not yet read Ballad, but I hope to soon! 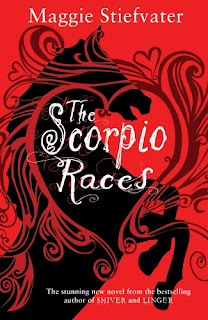 I think The Scorpio Races is my favourite of Maggie's books. I loved the isolation of this island and the fierceness of the loyalty between Sean and Puck and their respective horses, Corr and Dove. But also the tension and attraction betewen each other. It kills me this book. I loved the beauty and the wildness of this island and how danger the water-horses and this race are. Basically, I loved everything about this book. Have I ever mentioned before how much I love ravens? I'm guessing that should be an entire post in itself, but for now, just know that I do. Meeting Maggie meant bringing home a lovely raven doodle that I cherish. And look at the gorgeous covers of both of these books? I love how eye-catching they are and how they're both very bird-centric. 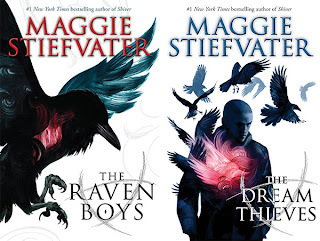 The Raven Boys was not at all like I expected it to be. I thought that there would be this overwhelming love story that begins between Blue and Gansey, but it doesn't really appear in this book. But having said that, I like being kept on my toes in regards to the romantic relationships! It just means that there's that yet to come in future books! Are you a collector of books? 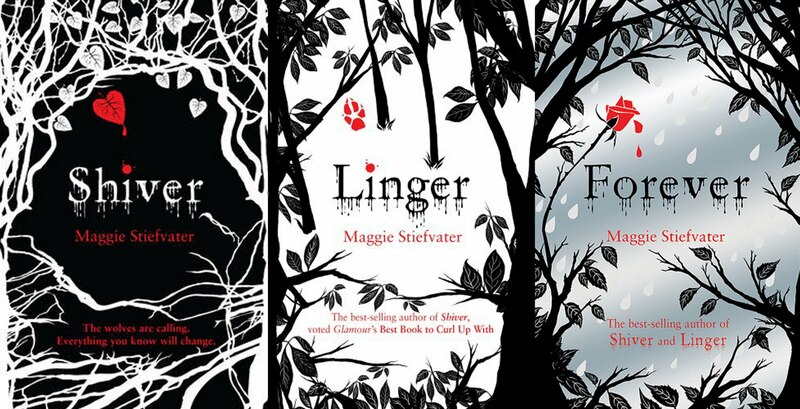 Do you love Maggie Stiefvater's books? What are your Bookshelf Requirements? I really liked the Scorpio Races too - though the water horses were soooo creepy. Some of my most treasured books that I'd never part with are Ann Turnbull's Quaker trilogy starting with No Shame No Fear. Gorgeous. I've not heard of Ann Turnbull, sounds interesting! Libraries are great. I hope they have the books you're looking for! Maggie is a permanent fixture on my shelf too. I'll everything she writes without question! Yes, I will too now. No more hesitation, even if she writes a book about *shudder* angels or something. I have the Wolves of Mercy Falls series on my bookshelf, but I've only read the first one, and that was back in 2010, so I'll definitely be picking up that series this year. I originally took The Raven Boys out of the library and ended up loving it so much I bought my own copy. I can't wait for The Dream Thieves to release. Thanks Cait :) Will email soon. And isn't she lovely? I was constantly smiling/laughing when I met her. I'm really looking forward to seeing your future posts, Clover, because this is such a good idea. I feel so ashamed! It's the only book of Maggie's that I haven't yet read and so I really must get a move on! Great post, I love this feature. :) I collect so many books - I hoard books like air! So many people ARE collectors. I don't know how that skipped me by? 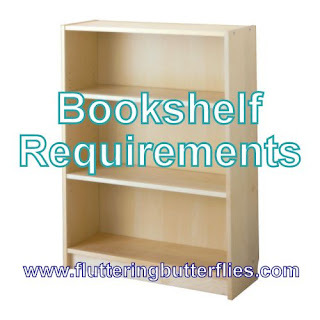 I can't wait to see what other books are bookshelf requirements for you! I'm very much looking forward to sharing more of these posts with everyone. I love how people really took to this post. I'm surprised! 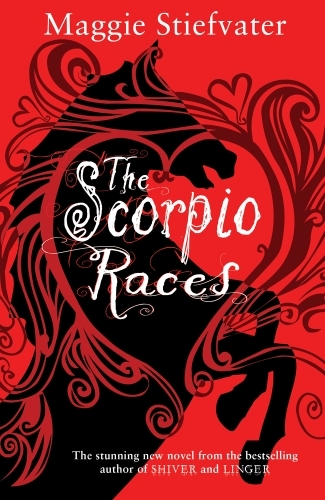 Good luck with The Scorpio Races!